As in most countries of the former Warsaw Pact or of Eastern Europe with a socialist-communist regime, in former Yugoslavia too, the birth of organized crime groups was a direct product of state security services of authoritative regimes in decadence. The roots of most of these groups are to be found in the association of the state securities or secret polices with the crime-milieu. The formal practice of employing professional criminals for state-operations organized and supported by these obscure state services was established and conducted from the early beginnings of socialists/communist regimes onward. For the regime, the use of an otherwise problematic social layer at the margins of socialist societies was founded on the principle of ‘like cures like’. Using this method, the state security service in former Yugoslavia employed professional criminals in the elimination of political dissidents, ‘enemies of socialism’ and used their services to produce illicit profit for its financing. When the Milosevic regime rose to power, the ‘Service’ just changed its ‘master’ but the method remained the same. Professional criminals were recruited to join or to lead a so called ‘unit of volunteers’. Often these criminals exchanged their time in prison for a time at the ‘battlefield’. The Serbian warlords were able to carry out the political goals of the Belgrade-regime and were granted in exchange ‘open hands’ in looting and developing illicit trade. As feudal vassals they exchanged their services for the privileges they obtained from the state. From the margins of society, empowered by crime, sustained by the media, fully benefiting on violence, they rose to the highest peaks of Serbian society. This book’s goal is to depict the rise of the Serbian warrior-aristocracy. 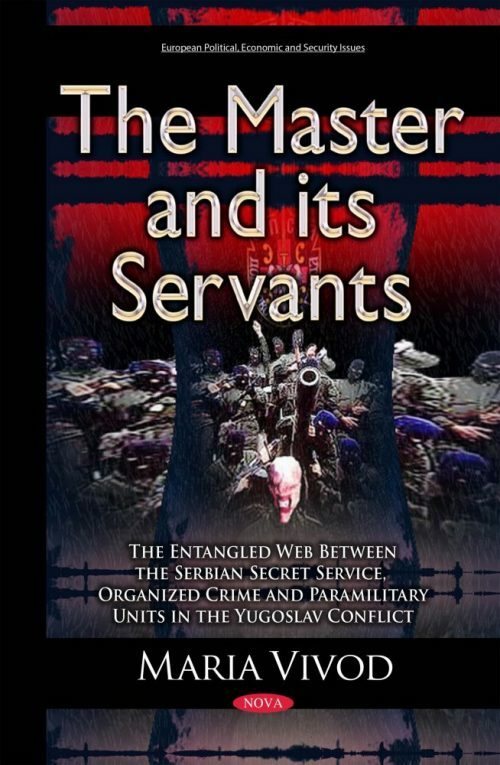 The book is potentially interesting for all professionals and amateurs of social sciences, in scholarly but also in the governmental arena, who are working or are interested on the topic of former Yugoslavia and Serbia such as (investigative) journalists, sociologists, historians, jurists, political scientists, criminologists, and scientist from various disciplines working on the topic of secret services and/or former communist regimes.